9 1/2 x 20 1/2 in 20 1/2 in. This is a console typewriter from an IBM mainframe computer. It would be the primary operator I/O station displaying operating system messages and entering operator commands on the keyboard. 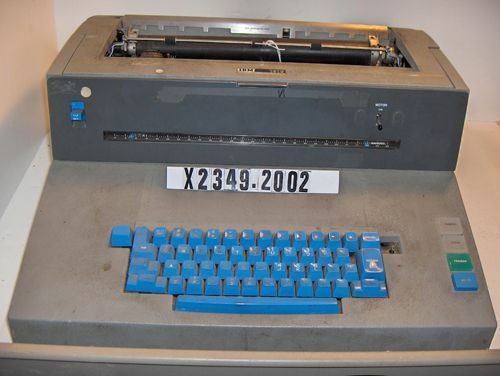 The console typewriter was the least reliable part of a mainframe and a fault in the temperamental Selectric printer mechanism often caused down-time for the whole system.